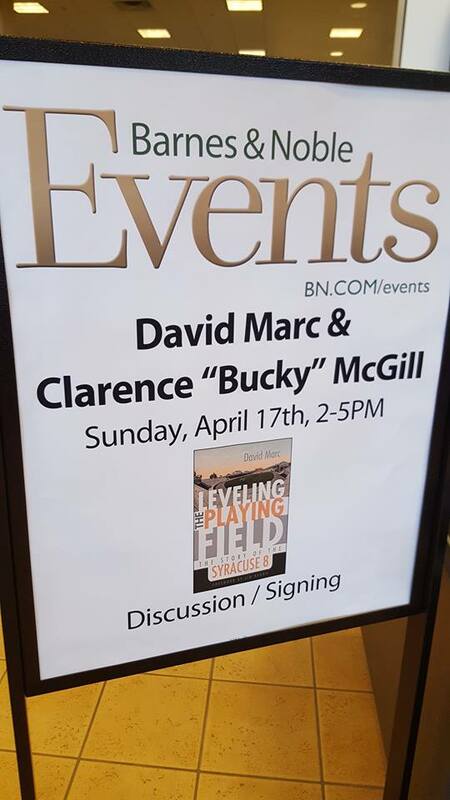 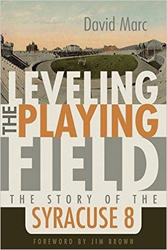 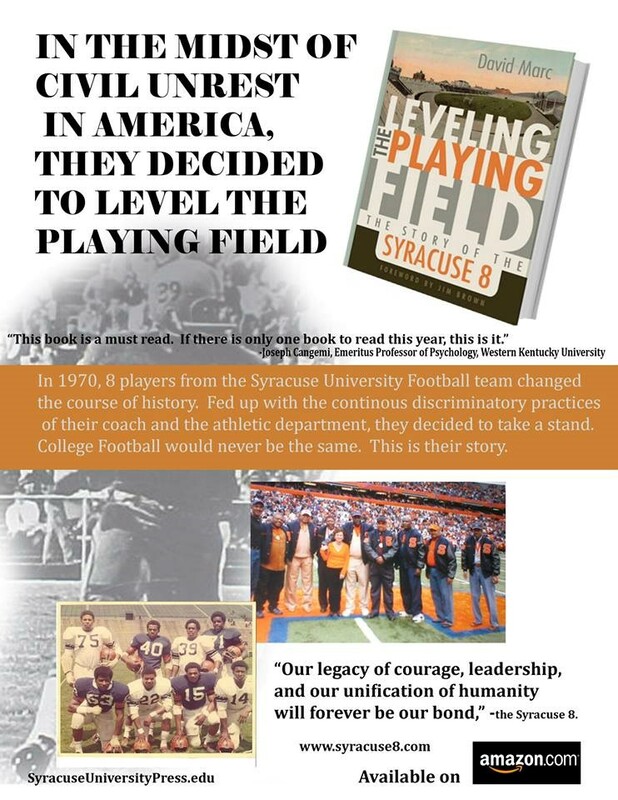 A Book Signing and Discussion with author David Marc and Clarence ‘Bucky’ McGill, one of the Syracuse 8 has been scheduled for Sunday, April 17th, 2pm to 5pm at Barnes and Noble Booksellers, Vestal, NY. 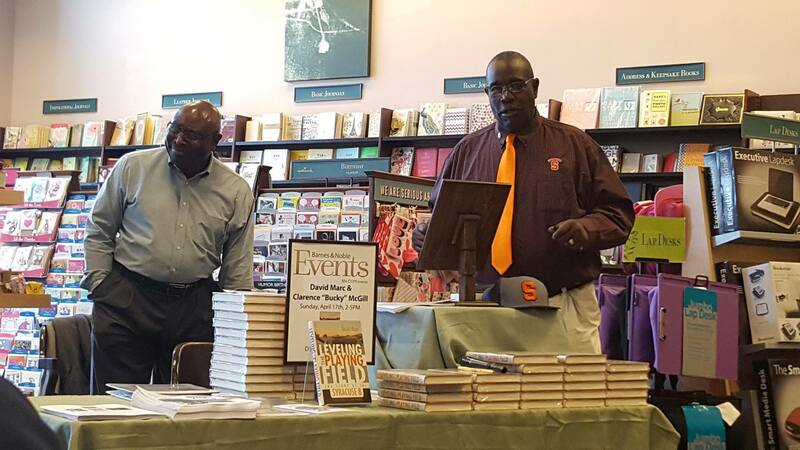 Successful book signings were held previously in July at Busboys and Poets, Washington, DC, September at the Schomburg Center for Research in Black Culture in Harlem, New York, and on the campus of Syracuse University. 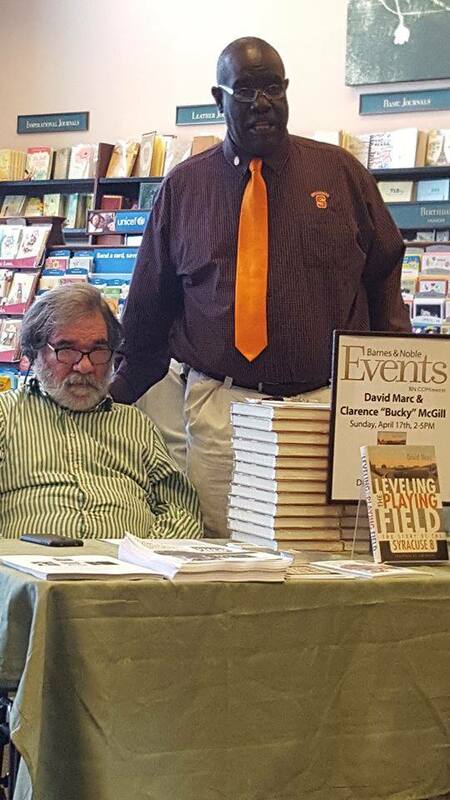 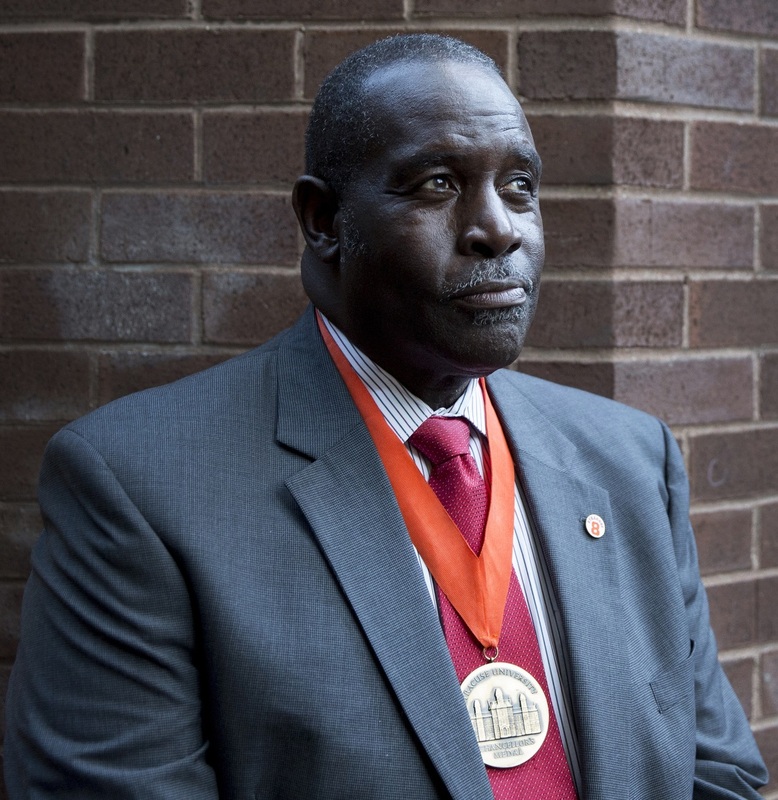 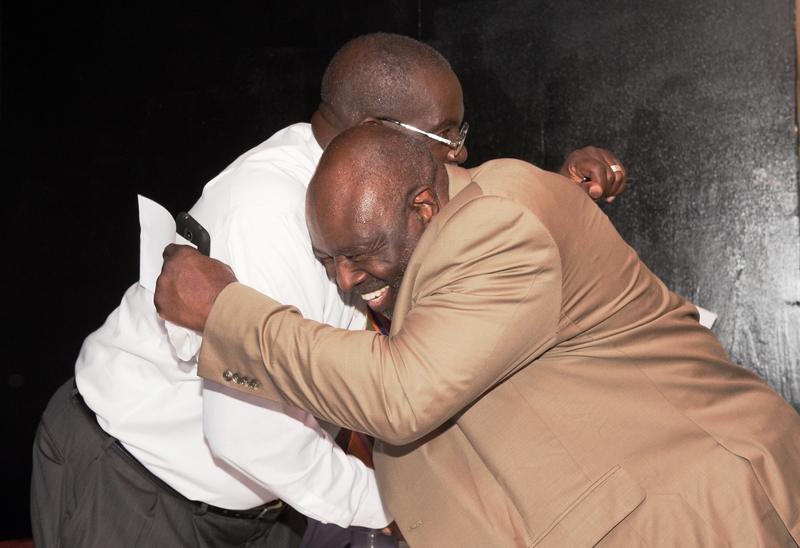 Clarence McGill, accompanied by author David Marc, also appeared on News One Now with Roland Martin in September.